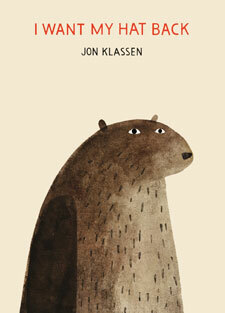 Jon Klassen's I Want My Hat Back has stirred up quite a debate in the children's book world. I bought a copy sight unseen last fall after first reading reviews on There's A Book and A Fuse #8 Production. Even though we've owned Klassen's book now for several months, I've been putting off writing a review for reasons I can't entirely explain. It's not because I Want My Hat Back hasn't been a popular reread in our home. It's not because it isn't a clever, unusual story. Perhaps it is because I'm not sure I can offer anything more than what has already been said, and I know a lot of people have already formed their own well-thought-out opinions about the book. But I'm going to try anyway, if only so that someday, when my kids search through my posts for memorable books from their childhood, they'll find I Want My Hat Back mentioned. It's a book that certainly makes an impression though some will argue as to what sort of impression. The best books provoke discussion and provide food for thought. They speak to the reader on another level and tell a memorable story. They appeal to a broad audience. I Want My Hat Back fits this mold. On the surface it's just a book about a bear that loses his hat, makes inquiries to other forest animals and takes measures to regain possession of said hat. But, it's the execution of the story and also what is implied that makes this book special. Klassen puts into play perfect pacing, deliberate repetition and appropriate build up. His polite, impassive bear gets a little out of character and something very unexpected happens. Through his illustrations, Klassen also successfully conveys a powerful emotion we are all familiar with -- furious, red hot anger, redder than the color of the pointy, red hat that has gone missing! The unexpected ending isn't for everyone. Some people remark on the lies told in the book. Some remark on the actions. I have to admit that at first my kids didn't know what to make of the end. I'm not sure my 3yo would have even understood the implied ending if my 6yo hadn't pointed it out to him. In fact, after the first read, no one was really laughing. But, once they figured out the ending, boy oh boy, they wanted to read it again. And again. And again. For them, the story just gets funnier and funnier with each reread, not because of the ending but because they have fun making up voices for all the animals. 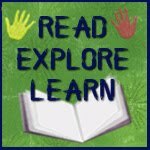 Here are some other reasons why it's a keeper -- the story is simple enough for a beginning reader (my daughter) to read alone and read with gusto. It is simple and repetitive enough for my preschooler to memorize (he especially likes repeating the "Thank you anyway" lines.) The dialog between the characters is simple enough for kids to act out using puppets. And, of course, the book is very different from every other book in our collection. I don't think we need to like the ending, to dissect it, to apply it to real life. A bear is not a human, and a bear that wears a hat, well that's the stuff of children's books. In fact, if left to themselves, young children will very likely develop their own non-violent opinions of what happened. But, the story can actually be a useful tool in teaching values. When we're in a store and see a toddler acting up, my children point out that the child is misbehaving. They know when someone is behaving inappropriately. Just like the book. They point out the bear's actions. Was this the best course of action? No. (Unless quite possibly you are a wild bear.) What would have been a better alternative? Should we tell lies? No. Lesson learned in a sly, wildly imaginative picture book way. 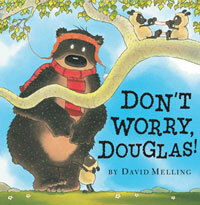 David Melling's book, Don't Worry Douglas, also released last fall and provides a stark contrast to Klassen's book. If I Want My Hat Back doesn't sound like your sort of book, you might want to consider Melling's "bear with red hat" book. 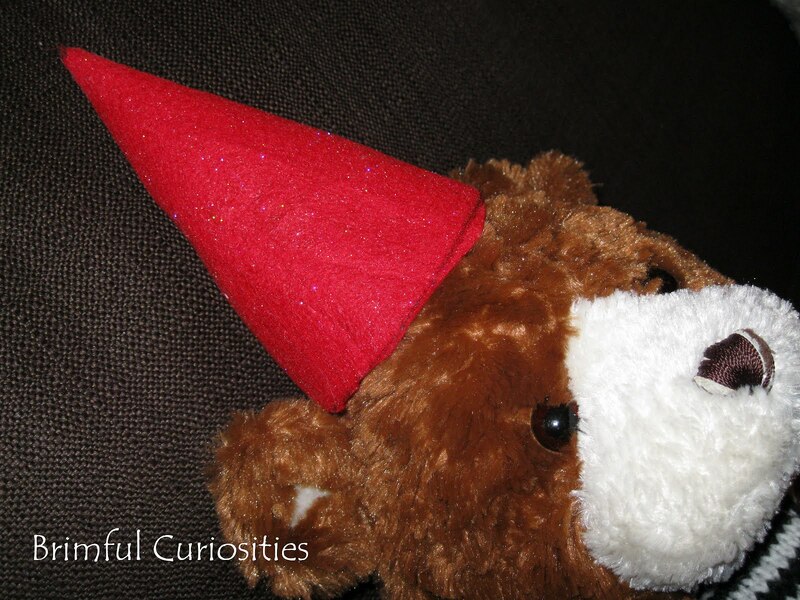 A bear named Douglas receives a woolly, red hat as a gift from his father. He wears it proudly and shows it off to his friends. Unfortunately, he also gets a little carried away in showing it off and the hat unravels. His friends offer suggestions on what to do, but only rabbit gives him the advice he needs. Don't Worry Douglas is all about making the right decisions when faced with a problem. Rather than lying or hiding something from his parents, Douglas owns up to his mistake and his parents forgive him. At times the text doesn't read smoothly, but Melling's adorably cute and sweet illustrations make up for it. A set of silly sheep add some humor to the story and there's a fun page spread in the back of the book that shows all sorts of wacky hats. It's a nice, feel good story for preschool-kindergarteners and is a title worth checking out from the library. While you're there, you might as well grab Melling's other Douglas book, too -- Hugless Douglas. You can't properly tell the story of a bear and a red hat without a red hat. 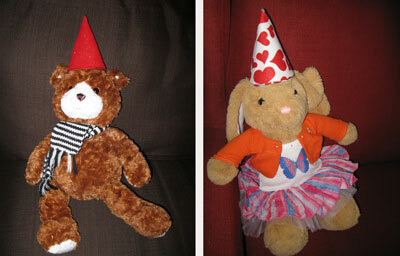 My kids decided to make red hats for their stuffed animals. We fashioned the red hats after the pointy one pictured in I Want My Hat Back. First Palette offers a nice tutorial on how to construct cone hats. If you'd like to make a paper one, consider downloading this hat activity pdf from Walker Books Australia. 1. 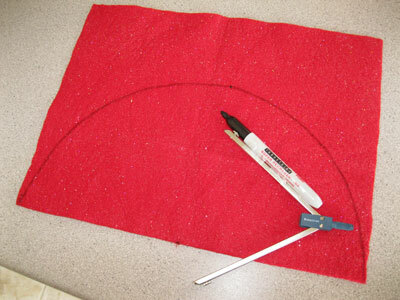 Use a compass or circle pattern to draw a half circle onto a piece of red felt. 3. 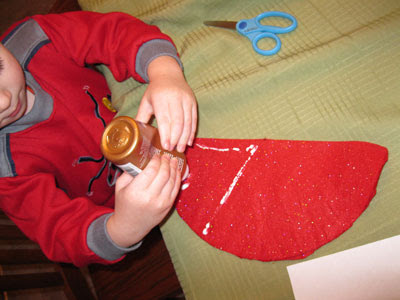 Spread tacky glue onto one third of the hat and after forming the half circle into a cone, glue the hat together. 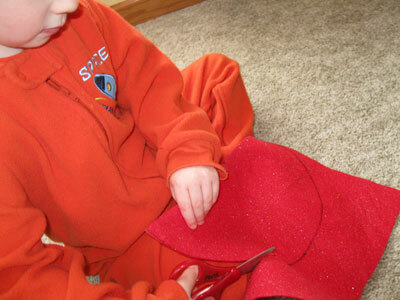 Use a paper clip to hold the hat together at the bottom while it dries. Well, what a coincidence that we posted about I Want My Hat Back on the same day! Great minds, huh? ;-) I think you and I feel similarly about it. The other one does look cute, though. You definitely added something to the discussion. I checked out I Want My Hat Back in the fall, and decided not to pass it on to the children - I don't remember why now - maybe it was the lying, but I think it was more just that I thought it fell flat when I read it. I haven't seen the second book - but it looks very cute. I think yours is the best review of I Want My Hat Back that I've seen. I really like your point about not needing to dissect the ending or apply it to real life. Well said! I am still waiting for this book to arrive to our library since I've seen several different reviews of it. Love the felt hat idea! Love the felt had idea. I have not read this book but I did enjoy your review of it. Your daughter was very smart with her hat choice! I would stay away from red pointy hats, too, after reading that book! I think as a mom I liked Don't Worry Douglas better and as a kidlit blogger I liked I want my hat back better, if that makes sense. I like your review, though. It gives me something to think about! And the hat is cute!! I love your hats! What wonderful books! We love the Douglas book! I love I want mY Hat back and was very happy to read that your kids, once they got it, fell about laughing, as I have read some reviewers say that none of the kids they have read it to, found it funny! We read the book and didn't think much of it; honestly, I don't even remember what the kids thought of it...now I have to get it again and revisit it. Thanks for the review and for the felt hat idea. What a brilliant combination of books in this post Janelle - two so SO different books! I've been reading the Melling one a lot at school with kids - it is shortlisted for the biggest book prize in the UK voted for by kids alone (I've been reading it and the other 3 picture books shortlisted) and then the kids vote. The winner gets announced next month at a ceremony up in London that I'm going to with my eldest.